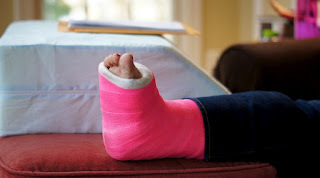 Home » English posts » One Of Your Legs Broken And Cemented? What Should Be Done At Home? One Of Your Legs Broken And Cemented? What Should Be Done At Home? Sometimes fate is not always on our side, for example, we experience an accident that causes us to injure our limbs, such as broken limbs, broken hands, broken bones, or injuries in other limbs. For the writer's self, the worst case of an accident is broken on your legs. When this happens, you will certainly be hospitalized for treatment on a broken leg. If both your legs are broken, it's a bad dream because you have to be in the hospital for long-term treatment. If a broken leg is just one foot left or right, the news is good for you, you may be allowed to go home while waiting for a doctor's appointment on another day for follow-up treatment. Although you are allowed by a doctor back home, the next challenge is when you are in your own home. When one of your legs has broken and you have been receiving treatment for broken leg footing, the challenge that you have to face is that you will be very difficult to walk or move. Here are two alternatives to help you move in the house when one of your legs is broken. If you've been to a hospital before, you've never seen a wheelchair often used by the hospital to bring patients who can not walk to receive treatment. For the author's own opinion, the wheelchair is the best alternative to helping you walk when you are injured by a broken leg. Where can we find this wheelchair? You can get wheelchairs at any pharmacy or hospital or pharmaceutical agent. You have to spend some money to buy a wheelchair for your own convenience. If your broken leg injury is not serious, another alternative is to use a stick. The sticks for the broken leg are designed to help those injured in the legs to make it easier for them to move. Like wheelchairs, sticks for broken legs can be bought at any pharmacy or pharmaceutical agent. If you have set up one of the tools that can help you move, the next thing you should think about is what you have to do at home while waiting for a doctor's appointment. The injury to one of your legs and your legs has been cemented so that all the things we should do will be abandoned. We have to be in the house for a long time and what you can do is sleep and eat. This is certainly the most boring thing, right? Well, here are some suggestions to make the days you visit your home become more meaningful and one of the ways to get rid of your worthiness. Today is a sophisticated era, or in other words, the era of technology. On the market, there are various sophisticated gadgets such as smartphones and video game gadgets like X-box 360 and more. If you are really interested in this game, you can get one of these gadgets to spend your time trying out popular games right now. Through just smartphones too, you can get various games through Android or iPhone app. You only need to enter the application and download the game you love. Are you interested in browsing the internet? If so, this idea can get rid of your boring feeling by surfing the internet like reading the latest news, going to popular social sites like Twitter, Facebook, Instagram, Whatsapp, and other social sites to communicate with your friends. 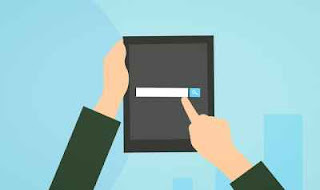 If you are interested in writing, the author suggests you to try to open a Google weblog account and this blog is totally free at no cost. You can write anything you like on this blog. This hobby is probably for those who are artistic. You can ask for help from your family members to buy some tools for painting and dyeing at a nearby bookstore where you live. Are you interested in writing a novel? If you are interested in writing a novel, at least you need a computer or laptop to write a novel. Currently, there are many exciting films shown in theaters. You can buy movie packages that can be purchased through your subscribed TV channel package. You can also watch movies on YouTube, asking for help from your family to buy popular and up-to-date VCD movies. Did you know that if you sing, it can actually get rid of boring and stress? Occasionally, if you feel bored, you are advised to do so in your home. However, make sure that you do not disturb your neighbours. You can invite your friends or family to karaoke at the weekend. Do you have religion? You have suffered a broken leg because God wants you to think what you've been doing with your life before and want you to be close to it? Sorry, this is just an assumption, whatever, if you have a religion, pray for your own recovery and pray very well for peace of mind. Well, we are at the end of this article and there are eight suggestions from the author, what needs to be done in your home when you have a broken leg injury. Perhaps this proposal can also be applied to those who are sick at home other than broken leg injuries.